Welcome to Frank E. Peters Municipal Golf Course, where you will embark on 18 unforgettable Holes. A beautiful experience with natural wildlife, just beyond the bend. Here in Nevada Missouri you will enjoy the peaceful environment that takes you away from the noise and busyness of life. A haven where you can spend time with your spouse, friends, and family. Where you’ll be greeted at the door, with friendly faces, and encouraging attitudes that will improve your game. Frank E. Peters Golf, a place where to clear your mind, and to experience the beauty of the game. Our golf course is located 50 minutes south of Harrisonville, MO and 50 minutes north of Joplin, MO. To get here, you need to take Highway 71 to the Camp Clark exit and turn west on Austin Blvd. Turn south on Barrett St (between Burger King and 3M), go south 2 miles and then turn east at the 4 way stop. Frank E. Peters Municipal Golf Course is an 18-hole championship golf course, which stretches to over 6600 yards from the back tees. 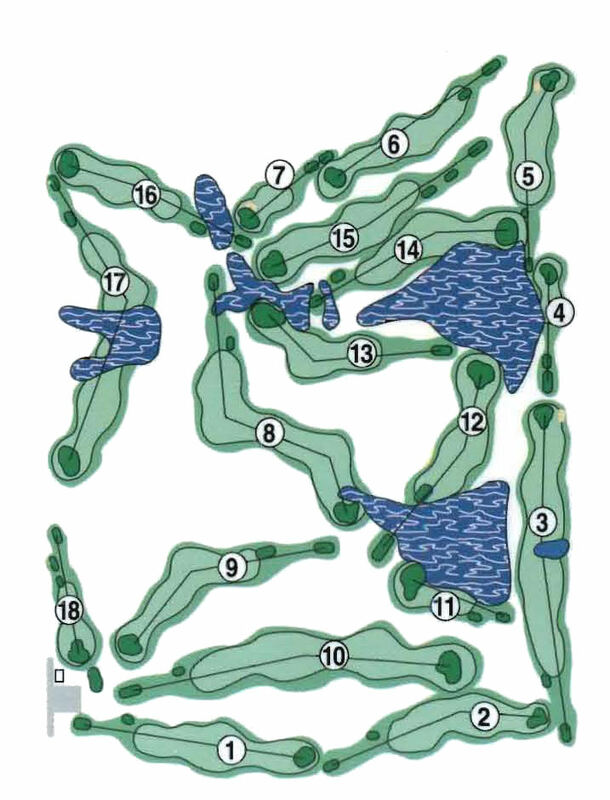 It is primarily a links style course, which winds through over 200 acres of Osage Prairie just south of Nevada, Missouri. The water my also become a factor, which comes into play on ten separate holes. Our large bent grass greens are consistently some of the best in the area while the Bermuda tee boxes and fairways offer superb lie to hit from. 1. Out of Bounds: Designated by fences and white stakes. 2. All local rules are posted at Clubhouse and shall be complied with. 3. Carts must stay 30 feet from the greens. Only 2 riders per cart. Pinnacle Golf Balls, Titleist Caps and Visors, FootJoy Golf Shoes, Titleist Golf Balls, FootJoy Socks , FootJoy Golf Gloves. Concessions are also available – Beverages, Various Chips, Various Snacks , Hot dogs and Polish Sausage.